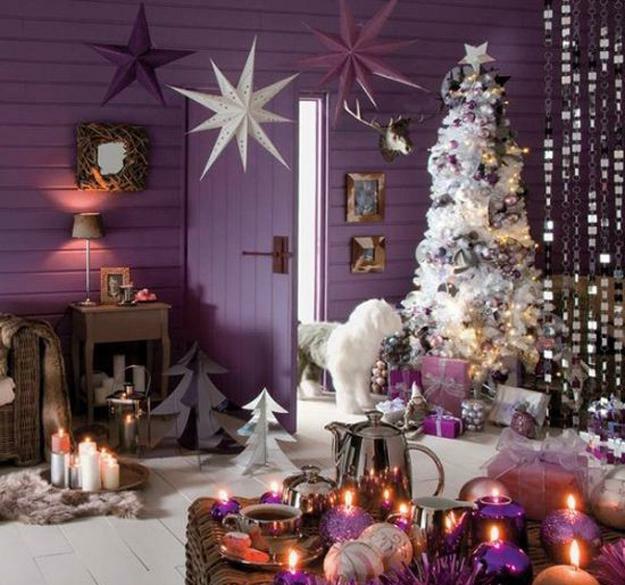 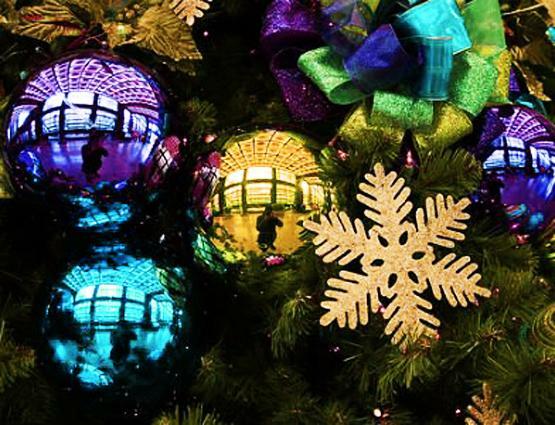 UltraViolet is the exciting modern color, one of the color trends that influences home decorating for winter holidays. 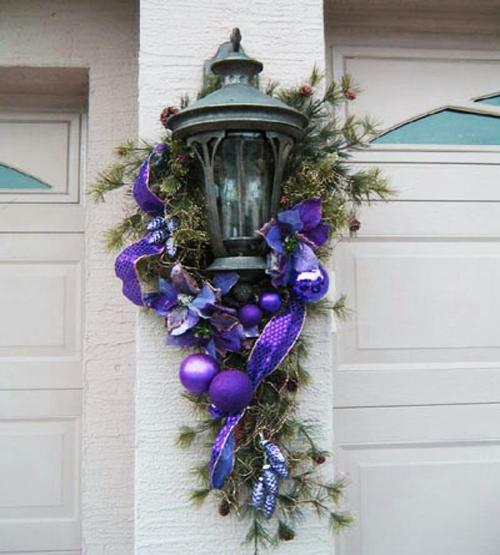 The bluish-purple is so powerful that even a single item or a few small Christmas decorations can transform your home decor and turn Christmas into one of the most bright, stylish, and expressive holidays of the year. 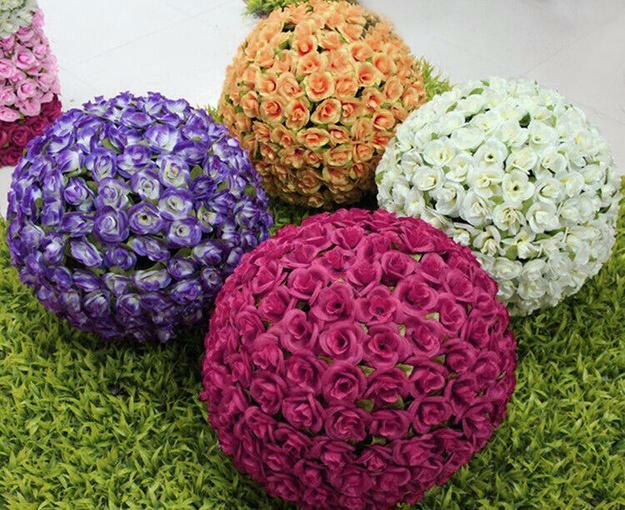 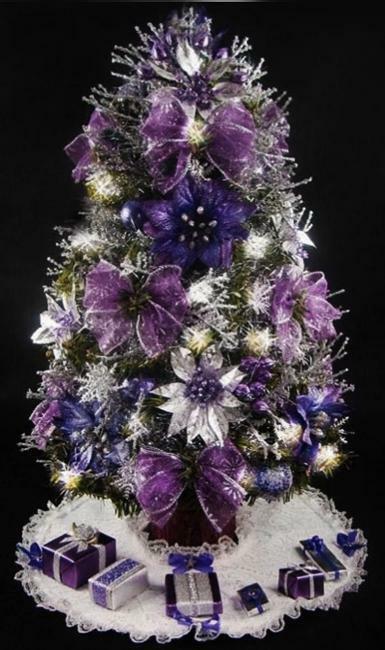 The bluish-purple color combinations with whites, silver or golden decorations look extraordinary, vibrant, and rich. 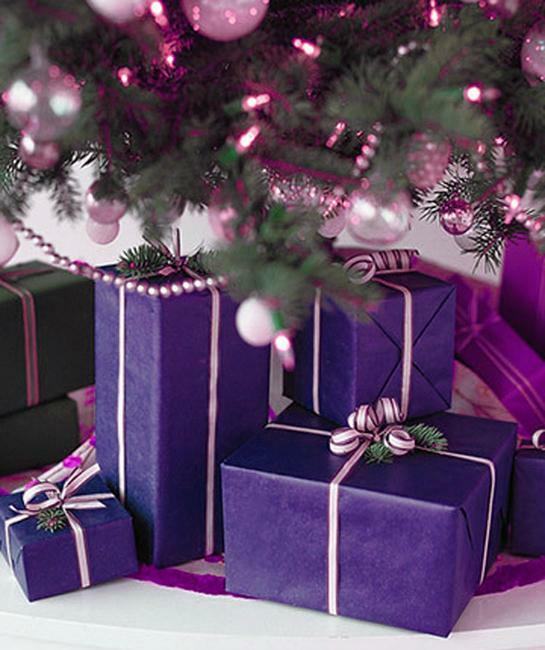 Ultra Violet mix well with beige, all pinks, turquoise, blue, and green colors. 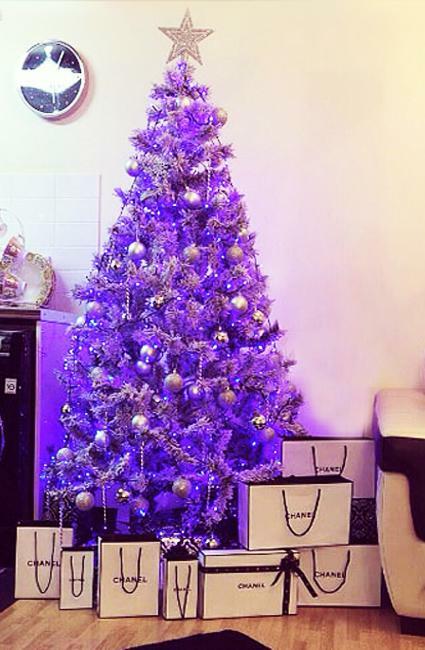 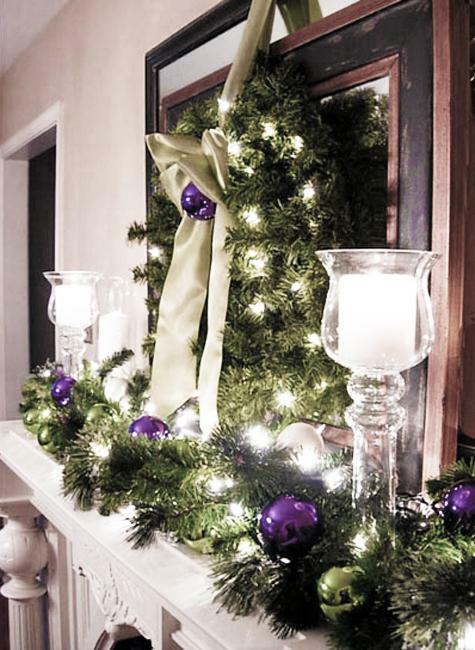 Shiny and subdued Christmas decorations create a beautiful blend and can tone down the brightness of room decorating with the trendy purple hue. 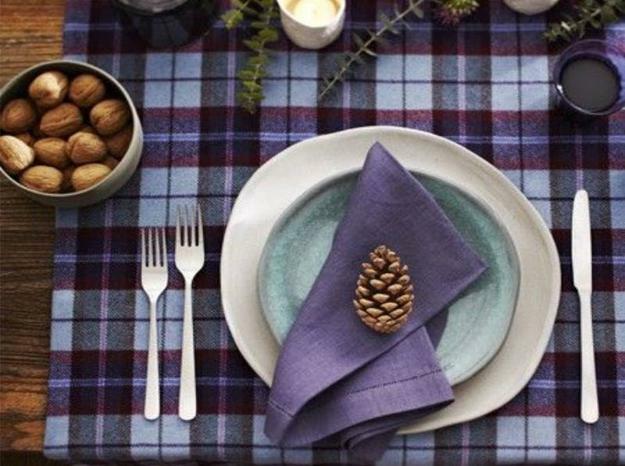 UltraViolet is the perfect modern color for adding spice and creating strong contrasts. 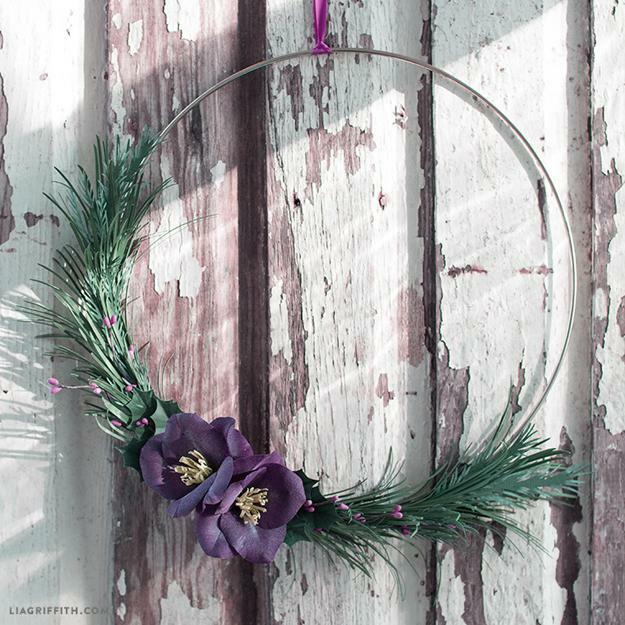 The deep purple color calls attention to decorative accessories, seasonal accents, and holiday decorations and can take you in so many directions while designing beautiful Christmas decor. 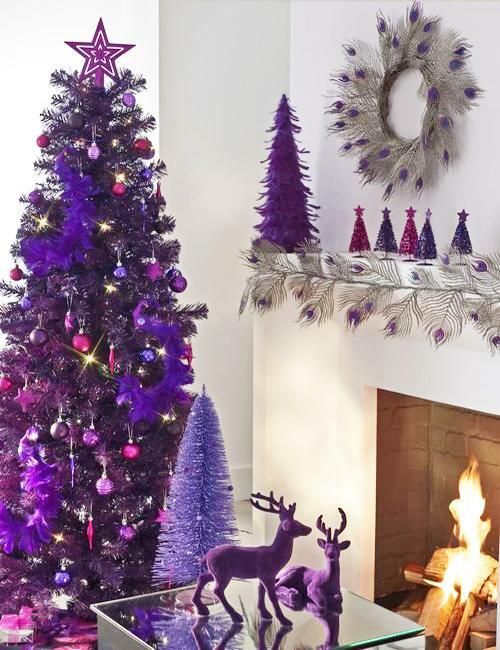 Ultra Violet makes a statement in any space and adds mysterious, adventurous, and royal feel to winter holiday decor. 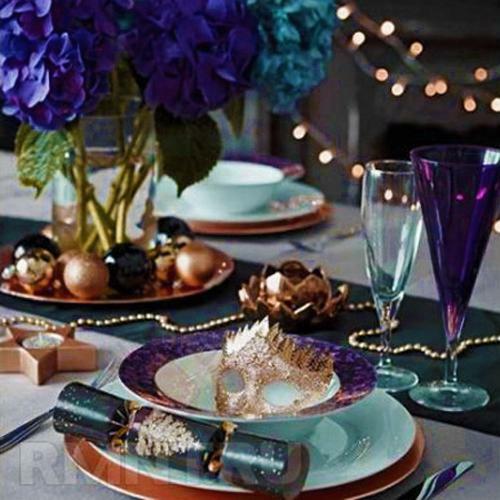 Whether you like to combine the deep purple color with white decorating or create rich and vibrant color schemes with turquoise or golden decorations, Ultra Violet is about elegance or unexpected boldness. 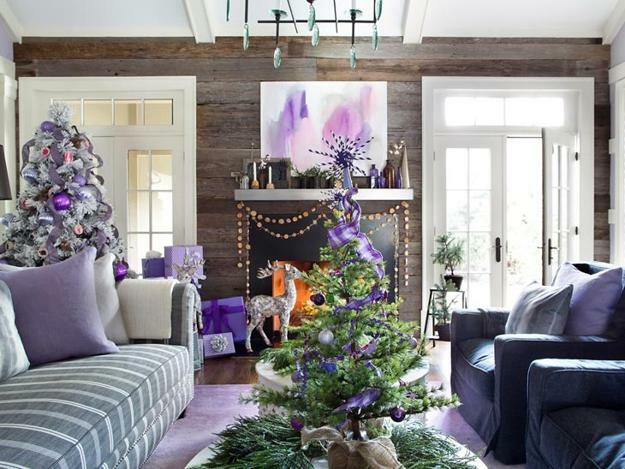 When you are using Violet color tones, notice that these hues take center stage in home interiors and outdoor living spaces. 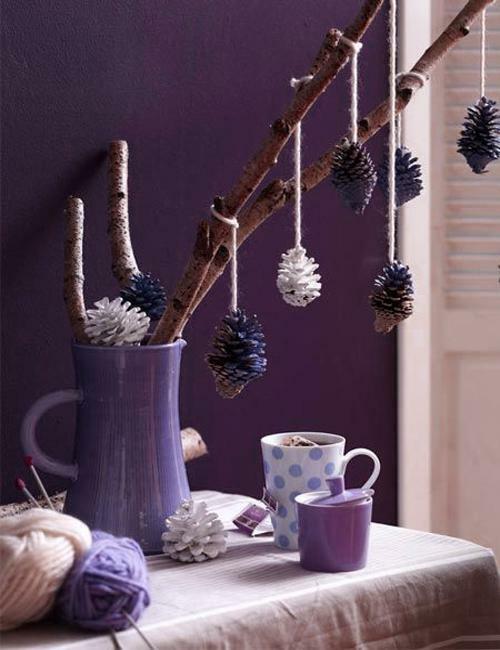 Large and small rooms look exciting and unusual when color schemes include these bluish-purple tones. 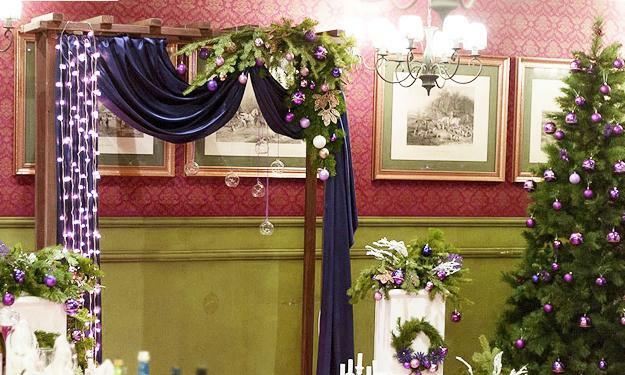 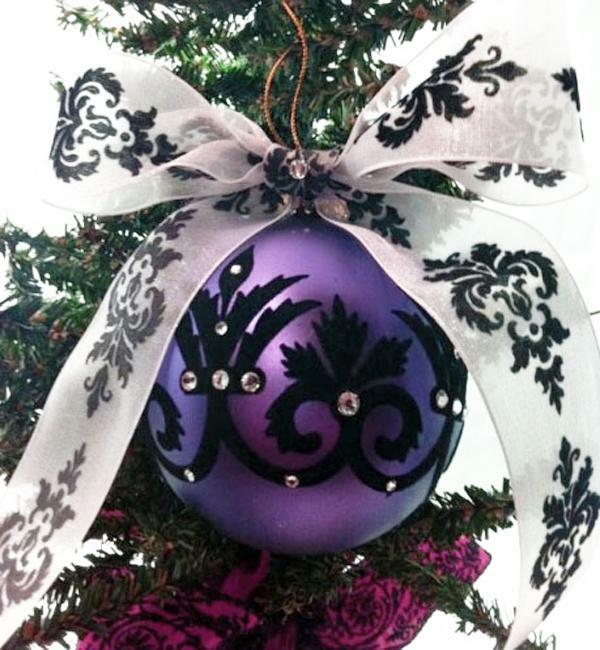 As modern Christmas decorating becomes sophisticated, Ultra Violet offers the fascinating complexity and originality. 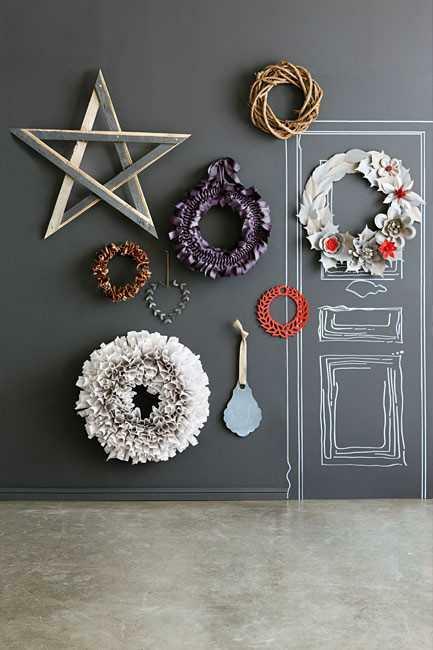 Its nuances appeal to our desire for uniqueness in holiday decor. 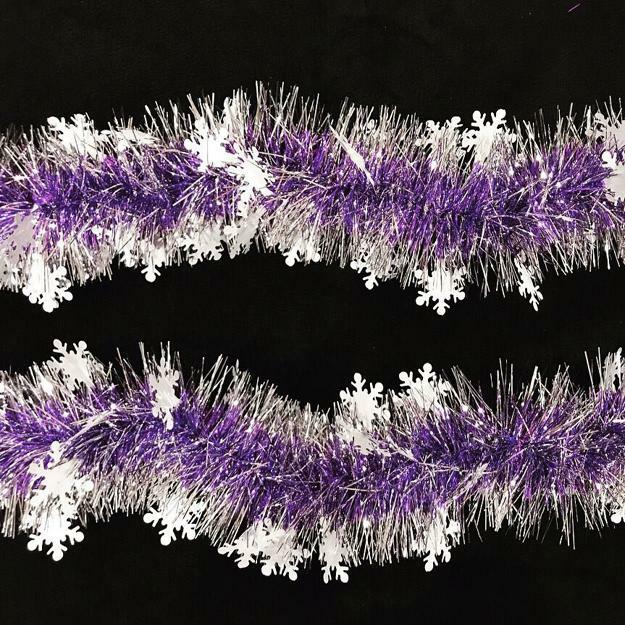 Ultra Violet resonates with festive winter holidays and brings its multi-dimensional versatility into modern Christmas decor. 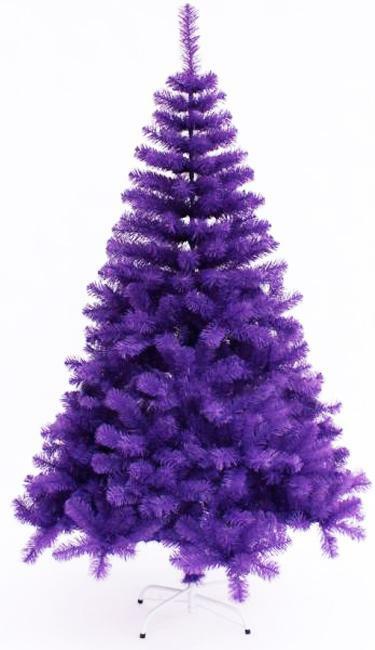 Cool tones of the bluish purple are perfect Christmas colors that increase the contrasts and add excitement to home decorating. 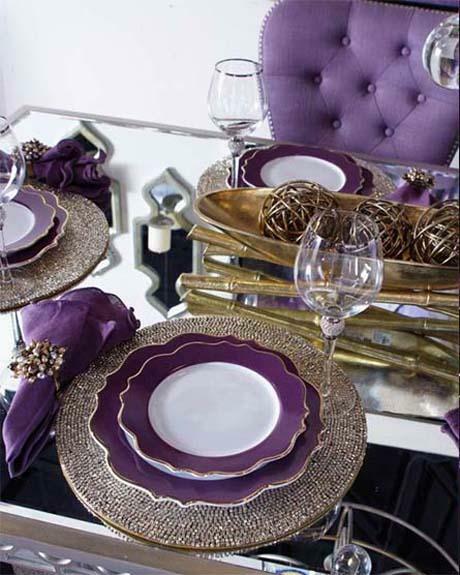 UltraViolet is the hue that communicates luxury and beauty. 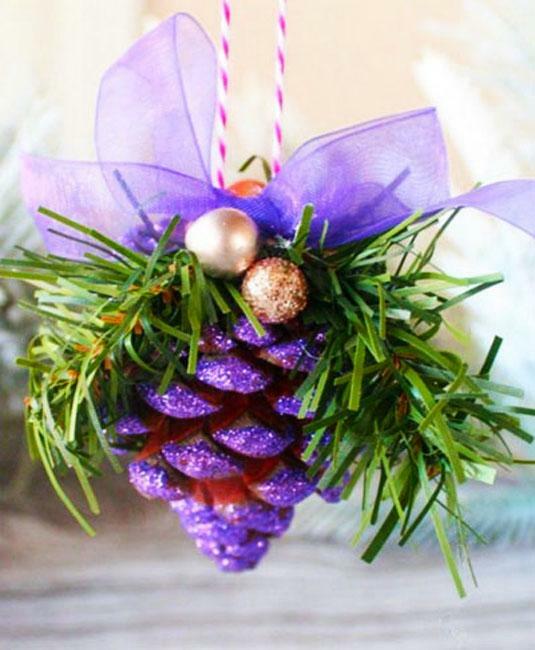 Evergreens and deep purple colors are fantastic color combinations to personalize your winter holiday decor and explore your artistic soul. 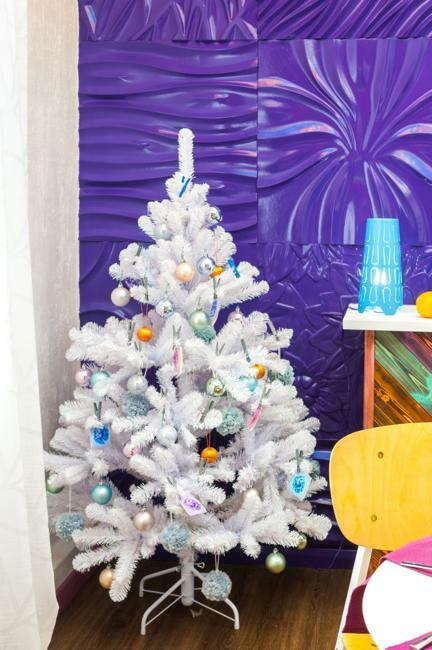 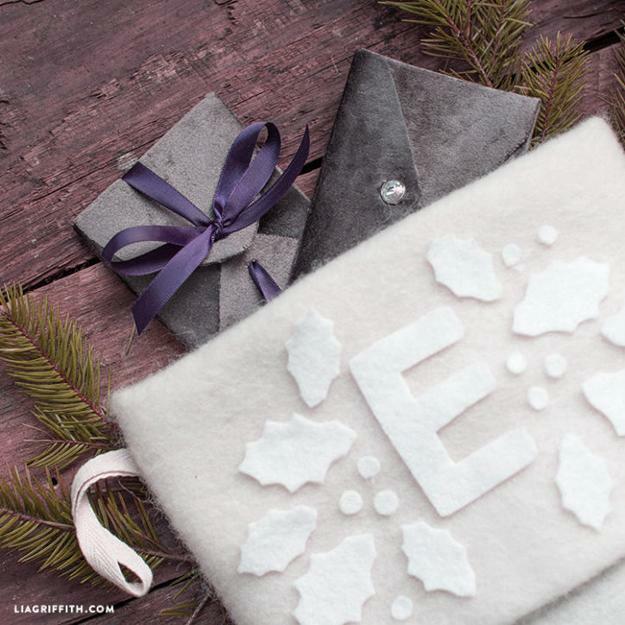 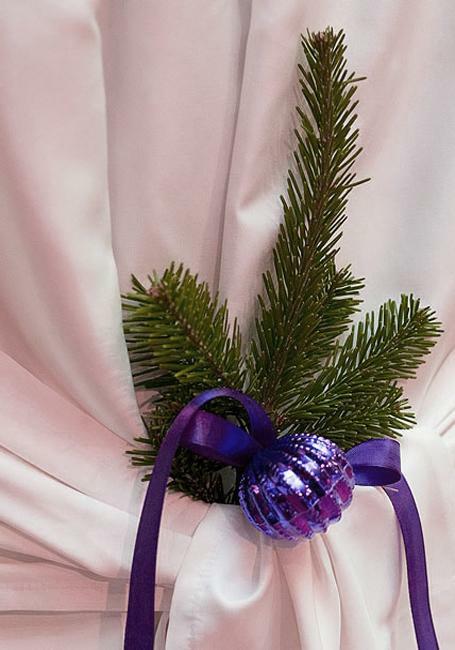 Check out these bluish-purple Christmas ideas, and you can find many original and beautiful ways to refresh your holiday decor this winter.